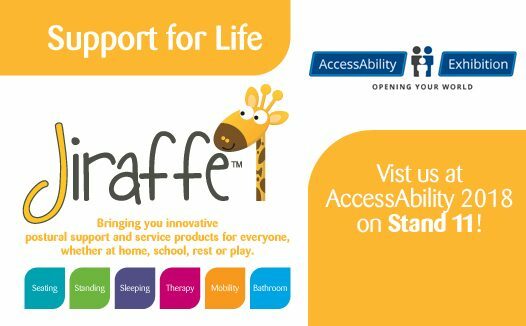 Thursday 18th October, Jiraffe will be on stand 11 at AccessAbility 2018 showcasing a range of paediatric postural support products, including products from Jenx Ltd., Rifton and Tarta! The FREE event, held at Leeds United Football Club, 10am – 3pm, aims to provide visitors options and advice on Assistive Technology, Equipment and Driving for all ages. Junior+ by Jenx – developed in conjunction with therapists and carers, the Junior+ seating system offers highly flexible supported seating to children from 18 months – 12 years. 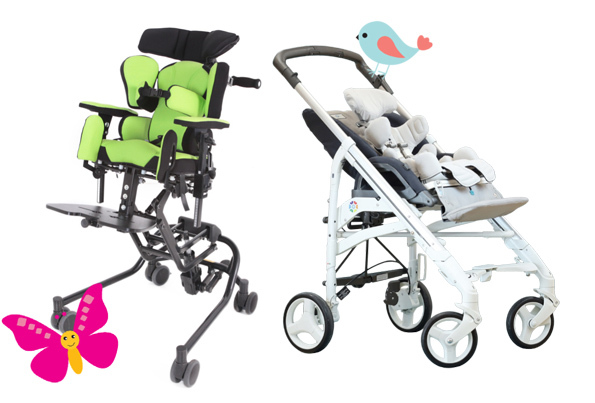 Standz by Jenx – Standz offers Prone or Supine standing and easily accommodates either abducted or neutral leg positioning for children between the ages of 1-9 years. New Pacer Gait Trainer by Rifton – The dynamic Pacer is a system comprising of an upper frame with a choice of bases, to accommodate users with a broad range of abilities. in a variety of settings. Kid by Tarta – A versatile seating system, specifically designed to provide young children with required postural support, comfort and functionality during their physical development. To find out about the full range of products available from Jiraffe, click here! Read all our articles here and don't forget to sign up to receive our e-newsletter too!. Hello. We are Jiraffe. Read all about us, our mission in life and why we do what we do here. We’re always looking for enthusiastic children, young people, therapists and parents to tell us what they want and how we can improve. Why not send us your story, thoughts, ideas ? Just email us at yourstory@jiraffe.org.uk. © Jenx Ltd. All rights reserved.